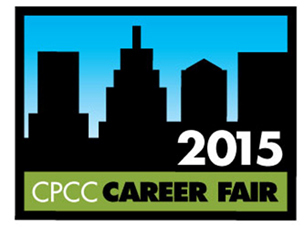 Employers are Looking for Full-time, Part-time and Internship Candidates at Next Month’s CPCC Career Fair! Career Services will host more than 80 employers at the 2015 Career Fair on Thursday, March 5, from 10 a.m. to 2:30 p.m. at the Grady Cole Center, adjacent to the Central Campus. Job seekers looking for full-time jobs. Job seekers commonly complain about having to blindly submit resumes online with no chance to meet recruiters in person. Here’s your chance. Candidates seeking part-time jobs, internships or co-op positions. Many employers at the fair are also hiring for part-time jobs as well as internship or co-op positions with their companies. The time to search for summer positions starts now. Students wanting to network with employers in their industry. Begin building your network now for your job search later. Professional dress is required. People not wearing professional attire won’t be admitted to the fair. Bookmark the Career Fair link for helpful tips and event information. Videos, blog posts and more can be found at www.cpcc.edu/career/studentsgrads/careerfair. VIP Access for CPCC students & alumni, as well as all military service members and veterans. Students and alumni can present their CPCC ID and military service members and veterans can present their military ID to gain admission through the VIP entrance. This helps avoid long lines. This entry was posted in Events and tagged Career Fair, Career Services, careers, co-ops, employers, Grady Cole Center, internships, job seekers, jobs by Mallory Benz. Bookmark the permalink.